Enjoy this charming, sun-drenched home located on a quiet dead-end street in quaint Cabin John. This 3+ bedroom, 3 bath home mixes old charm with an open concept in over 2700 square feet of living space. The family room boasts vaulted ceilings, a gas fireplace, built-in shelves and a wall of windows and doors to the large deck. The eat in kitchen has white cabinets, stainless appliances and new hardwood floors. The sunny Master BR has a vaulted ceiling, a walk-in closet and an updated master bath with dual sinks. The finished lower level boasts high ceilings, recessed lighting, a guest suite w/ full bath, wet bar, family room, office space, large storage room and a walk-out to a brick patio.The lot backs to the Cabin John Park and is minutes to downtown Bethesda and convenient to DC, VA, 495 & 270. 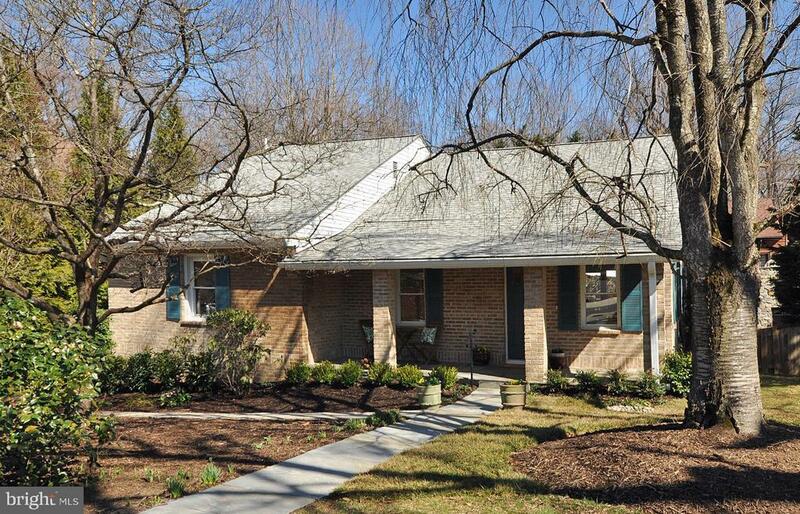 Walk to the community center, parks, play grounds, tennis courts, restaurants, shops, the C&O Canal & Glen Echo Park. BANNOCKBURN/PYLE/WHITMAN Schools. Directions: Out MacArthur Blvd, turn right onto 75th Street to 6521.